Two Ward and Smith, P.A. Attorneys Elected to New Hanover County Bar Association Board of Directors - Ward and Smith, P.A. Ward and Smith, P.A. 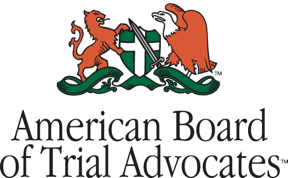 is proud to announce that on October 24, 2013, Mr. Allen N. Trask was elected President of the Board of Directors of the New Hanover County Bar Association and Ms. Virginia S. Carter was elected to the Board of Directors.